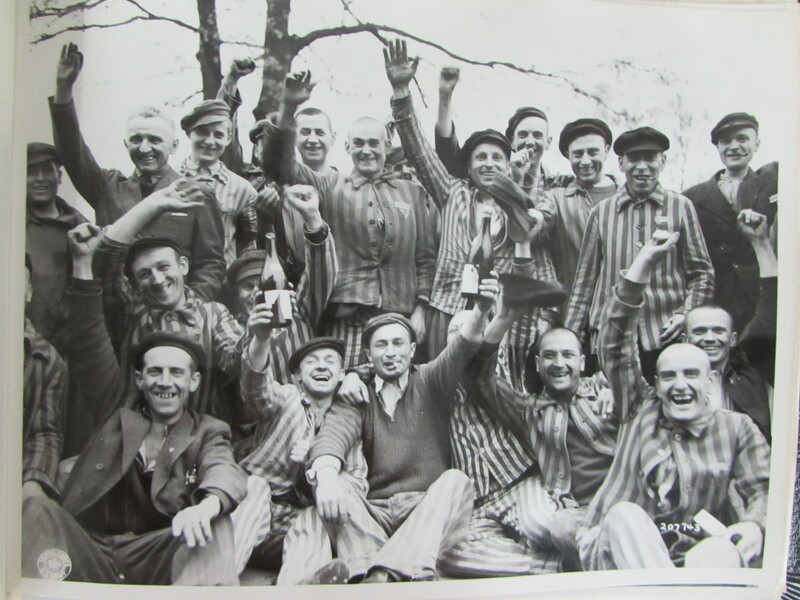 The liberation of Dachau and Buchenwald are well documented and photographed by the Americans . . . . because the Americans reached these camps first. 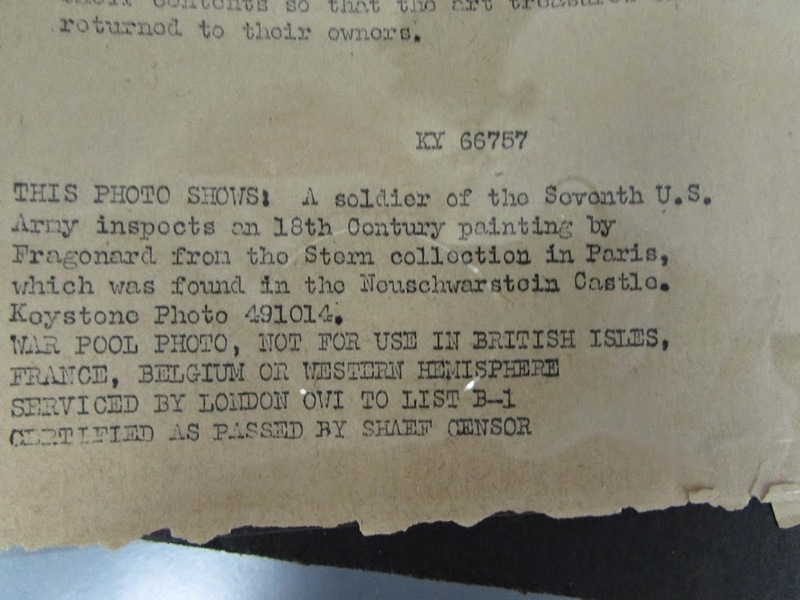 The U.S. Signal Corps documented these moments, and I had the chance (as does any American) to look at original photos from the 1940’s that are carefully stored, catalogued and identified by a unique number. 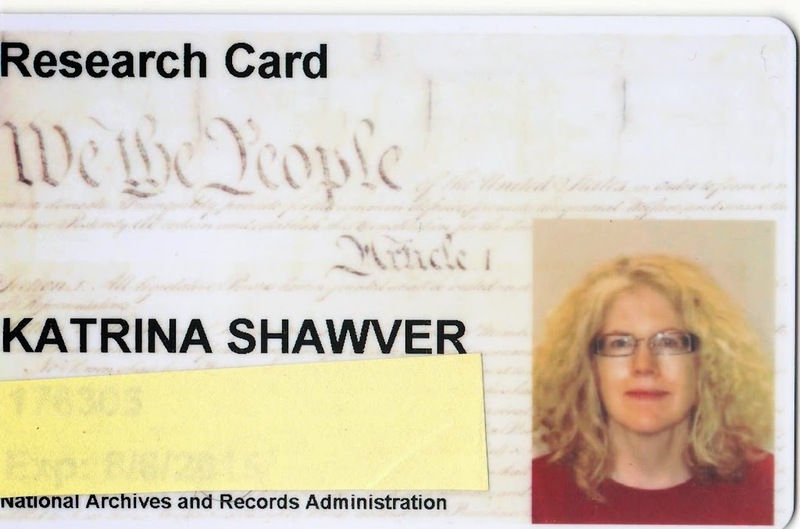 If there’s a Ph.D. in library science, the National Archives would be a great training ground. There are so many sub-categories of categories, even if you just want ‘Buchenwald.’ We’re talking white gloves and extremely tight security, both of which I accept and appreciate. There’s no replacing these originals. There are some very famous photos I’ve seen in many books – I held the originals. There are businesses you can contract with to request specific .jpgs of photos – you pay for each one. Or . . . if you’re able to go in person you may photograph them as much as possible. The ‘images’ are in the public domain, whether you photograph them or request a .jpg. Admittedly, few people can travel to Washington D.C. just to research photos, so on-line sources are available. But there’s things you see in person, that just aren’t communicated on the Internet. Many are slightly curled from age, and in a high-gloss finish so it’s hard to photograph without glare. Typewritten explanations from the 1940’s are taped to the back of most of them. Descriptions were accurate as they were known at the time the photo was taken. 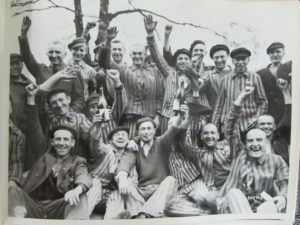 I’m including a copy of a photo of liberated Poles at Dachau. Henry was suffering from malnutrition and typhus at liberation; he wouldn’t have been in one of these photos. Photo – courtesy of National Archives. This entry was posted in About Katrina, On Writing by Katrina Shawver. Bookmark the permalink.